In parallel with major refurbishment works at London Victoria Station, MHG Heating has supplied 2 x ProCon HTP 225kW floor standing gas condensing boilers, complete with integral plate heat exchangers and flexible flues, to Network Rail’s Kent Side offices at the station. The new high-efficiency boilers have replaced ageing heating plant that was inefficient and uneconomical, thus helping Network Rail to reduce carbon emissions as well as costs. They serve a fan coil system in the building, which is separated from the primary system by the integral plate heat exchangers of the ProCon HTPs supplied by MHG. MHG products were specified and installed by Tate Building Services. “This was the first time we had used MHG and they were a real pleasure to work with,” said Tate’s Project Manager Wayne Harris. “The equipment is of excellent quality and the flue installation was to a very high standard. We will definitely work with MHG again,” he added. 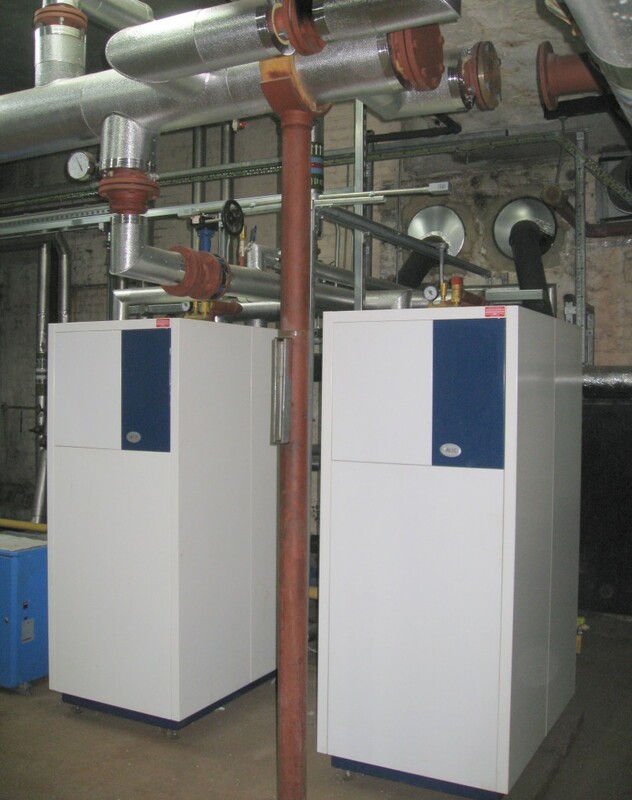 MHG’s ProCon boilers deliver extremely high energy efficiency with net efficiencies of up to 109.5% when tested to the requirements of the European Boiler Efficiency Directive. Further efficiencies are achieved through the very wide modulation range of 1:10 or 1:15, responding to the building’s heat loads without turning boilers on and off.